Roxtec / Underground transits against water - Glob-Prot Kft. Perhaps the most common cable and pipe sealing task is to transit them under groundwater level. This is not as easy as it seems because transits are facing low water pressure through quite long time. This means sealing is under water sometimes several months. KOS sleeve should be fixed into formwork and moulded by conrete afterwards. When laying cables KOS sleeve openings should be breoken out and cables and pipes can be routed and sealed with Roxtec UG. 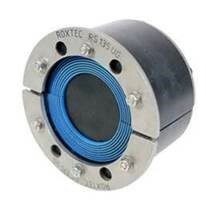 Roxtec UG offers perfect seal also in core drilled holes if KOS sleeve is not moulded in concrete. Roxtec UG product line can be installed simply, fast and easily: for theses advantages it’s preferred in all industry branches. 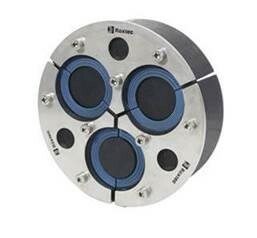 For high and middle voltage cables Roxtec H3 UG is offered. Sealing single cable or pipe RS UG is suggested. 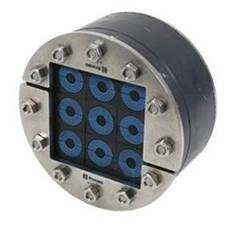 Solution in case of transiting several cables and pipes is R UG.